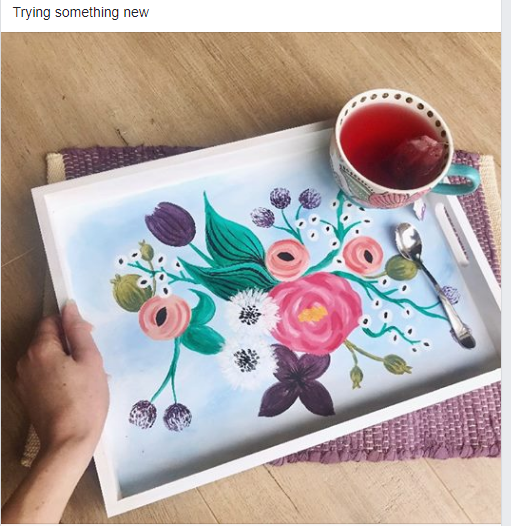 Hand paint a tray this Mother's Day! We'll be creating this floral masterpiece on a 16" X 12" X 2" wooden tray. What a fabulous gift - or to keep for yourself!